The year is nearing its end and after getting 15 inches of snow in a 24 hour period, the TR Crew is gearing up for another Wisconsin winter. More than that, the world didn’t come to an end on Friday. So, we wanted to make sure we took a moment to share with you some of our favorite products from the year, offer some last minute ideas for the holidays (for those of you who didn’t do your Christmas shopping, yet, because of the impending apocalypse), and give shout outs to some of the other great gear, apps, etc. we’ve gotten to test out. Enjoy! The past year has been littered with tons of different fitness applications full of great ideas and features galore, but there are two applications that really grabbed our attention this year. Before I get into those, however, I would like to mention that although LoseIt, Fitocracy, and Yog didn’t make our list we are excited to see what they bring in the new year. LoseIt grew tremendously this year and updated their app to make it much sleeker and easier to use. Fitocracy focused in on what makes them good and added to their ‘level-up’ ideas. And Yog brought a fresh idea to the table, allowing people to run with a friend even if their friend is across the country (or the world!). That said, we still think these apps have some work to do to make it to favorite status. 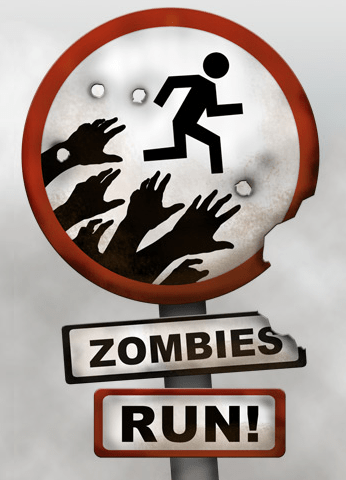 So, this year, our big game changers are Zombies, Run! and Nike+. Z ombies, Run! made its debut this year and although it has a steep price point for an app of $7.99 (plus an additional $1.99 for more missions) we found that the price was fair considering the amount of work that went into this application and the level of detail. Zombies, Run! combines run tracking, music, story telling, RPG elements, zombie chases, races, comedy, and plenty of other elements. This is the best attempt at combining a video game with a fitness activity I have ever seen and would make a great digital gift for any runner this holiday season. You can check it out on the app store here. Another big happening in the world of run tracking was the complete revamp of the Nike+ site and its iPhone application, plus the release of Nike+ Running for Android. The Nike application is the most well-rounded and user friendly run tracker available. Many people would argue that it dumbs down the more advanced technical stats, which might not make this the best option for more elite athletes, but for most runners, not having a more technical breakdown of your run stats is easily outweighed by Nike+’s social, achievement, and goal features. To top it off, Nike made the GPS Running application 100% free this year, along with killing off its Flash-based site and replacing it with an HTML 5 site (which seemed awfully silly considering the app was originally designed for iPhone, which is well known for its deep hatred toward Flash). In addition, Nike has begun to focus on expanding its Nike Plus Ecosystem, which is growing quickly after the introduction of NikeFuel (and the NikeFuel band). Nike released (in time for Christmas) the Nike+ Kinect Training game (expect to see a review after the New Year), which has already been receiving stellar reviews on Amazon and IGN, and rivals our favorite from last year, Your Shape Fitness Evolved 2012. You can pick up the Nike+ app here. Jawbone Up, Nike Fuelband, Basis, and plenty others have all attempted to take the spotlight in this market but in our eyes only one stays victorious as the king of pedometers and that proclaimed king is the FitBit. 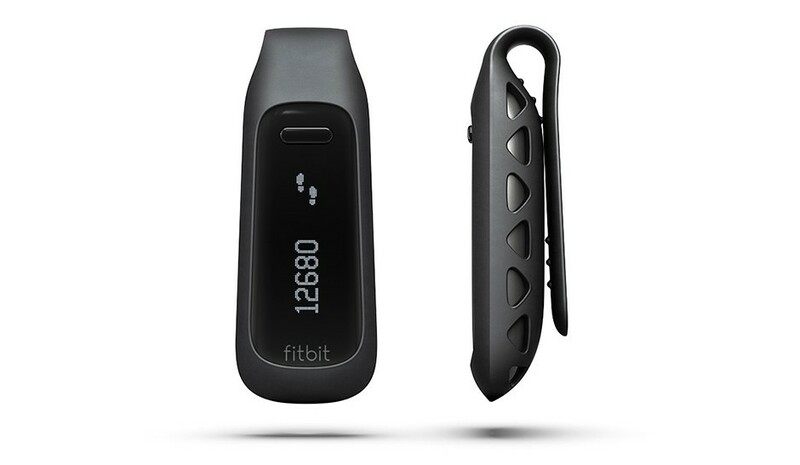 Fitbit capitalized on its success with the Fitbit Ultra and released an updated model, the Fitbit One, along with an entry level model, the Fitbit Zip. The Fitbit One (review here) brings some great new tools to the table, including water-resistance, a silent alarm, Bluetooth 4.0 syncing, and several updated features, such as a new clip design, new sleep armband, and increased syncing distance. The FitBit Zip is strictly a pedometer, but comes in 5 colors, each with a replaceable battery and a lower price tag of $59.95. You can pickup the FitBit on Amazon or at Fitbit.com. With the rapid growth of the barefoot running shoe market, it’s inevitable that with the many pairs out there that are shining examples of what a barefoot shoe should be, there are also many that completely miss the mark. That said, Meagan and I have each selected what we felt was a stand-out, all-around great barefoot shoe from this year. Both of these shoes are ultra-minimalist, lightweight, breathable, comfortable, simple, and felt as close to being barefoot without actually being barefoot as you could get. After debating with myself about choosing either the Altra Samson or the Sockwa, I ended up choosing Sockwas, because although I could see myself finishing a marathon in the Samsons, they just aren’t quite as barefoot as the Sockwa. As I said in my review of the Sockwas, they let you do what your mother always told you not to–you can go outside in just your socks! These things are thin, and I mean ultra thin! At a stack height of just 1.2mm and a weight of 2.4oz, you can’t beat these bad boys in terms of ground feel. To top it off, they make a great shoe for traveling because of their lightweight simple style. 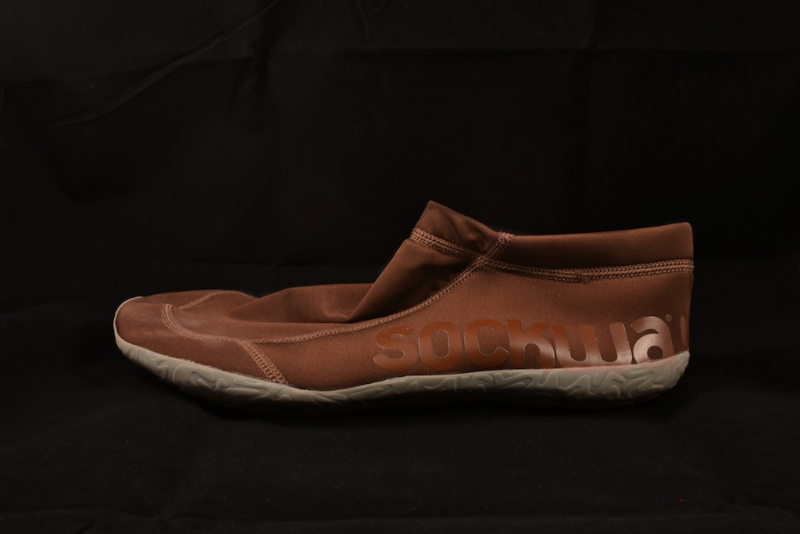 Check them out at Sockwa.com. 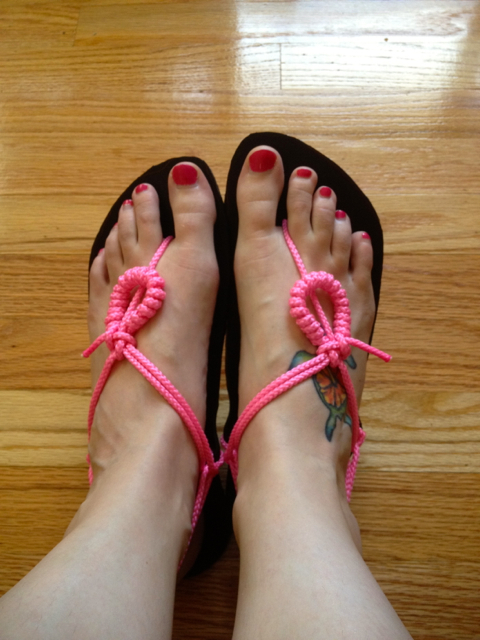 (Meagan here:) For my favorite barefoot shoe of 2012, I have to go with Xero Shoes (formerly Invisible Shoes). They are one of the least-expensive barefoot shoe options out there, but are also one of the best. The soles are durable, the laces are versatile (and cute! ), and they are just downright comfortable and fun to wear. After wearing mine both casually, for hiking, and for running this summer, I definitely felt a marked increase in the strength of my feet and I even had an awesome huarache lace tan! Xero Shoes just released colored versions of their soles a few months ago, too, in addition to already offering many different lace color options. You can pick them up at XeroShoes.com for as low as $24.95! The past couple of years have been a great example of what happens when a trend really takes off with the general public. Of course, I’m referring to the minimalist footwear movement. Tons of new minimalist shoe companies have come out of the woodwork, and the big guys, like Merrell, Nike, and New Balance, took notice, and began designing their own models off of the same principles. Although many of these companies have been around longer than just the past year, in 2012, they’ve gained major traction in the shoe world, released many new and updated styles of minimalist shoes, and played an integral role in the shifting views of the public towards footwear and foot health. These companies include, but are not limited to, Inov-8, SoftStar, Xero (formerly Invisible) Shoes, Merrell, Nike, Adidas, Vibram, Skora, Lemings (or Lems), Altra, Sockwa, and VivoBarefoot. Again, though, there are two outstanding models that we would like to recognized here, both of which are quality examples of a minimalist shoe, in that they promote a natural stride, have just enough cushion for longer distance runs, have a nonexistent or very small (<4mm) heel-toe drop, use lightweight materials, and have a wide toe box. Despite its steep price point, this one was a no-brainer for me. Of course, from just reading that sentence, many of you have probably already guessed that I’m talking about the SKORA Form. For a price of $195, you get a shoe with an extremely breathable goat leather vamp, a sheepskin insole, a sole graded for well over 1000 miles, and an anatomical toe design with plenty of space for your toes to splay. I ran my half-marathon in them, I’ll run my marathon in them, and, if I get to a point in my running career where I can do it, I will probably run an ultra in them. I have never worn a shoe that is this comfortable in my entire life! The SKORA Form is the shoe I’ve always wanted, but at $195 it isn’t a dream everyone can afford, although it would be a great splurge for Christmas! 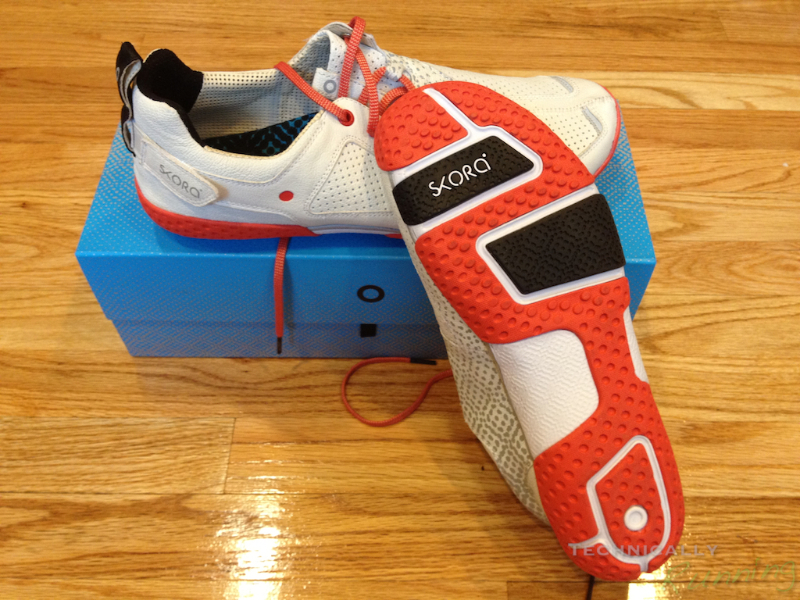 Check out the SKORA Form at Skorarunning.com. (Meagan here again! :) My choice for best minimalist shoe of 2012 is mainly motivated by my (apparently) weird foot shape. I have relatively narrow feet, and (as far as I can tell) especially narrow heels. I’ve mentioned before that this means that my foot slides forward in almost every pair of running shoes, which is not particularly comfortable. I had pretty much given up hope that this was just something I was going to have to deal with using special lacing methods, but then I got my hands on a pair of the New Balance Minimus Road Zeros and the clouds parted, I heard angels singing, etc., etc. etc. Holy cow, these shoes must have been made for me. The fit is perfection, they are minimal enough to allow me to run naturally, but still stay comfortable over long distances, and they are just really good-looking shoes. Expect a rave review very soon! The On Cloud series were a huge favorite for both Ashley & Liz this past year. Both of them ran PRs in their Ons, and both of them continue to include these shoes in their running rotation. Because I haven’t personally run in these shoes, I won’t comment too much, but be sure to check out their reviews of the Cloudrunner and Cloudracer to learn more. ( Heeeeeeeeere’s Meagan! 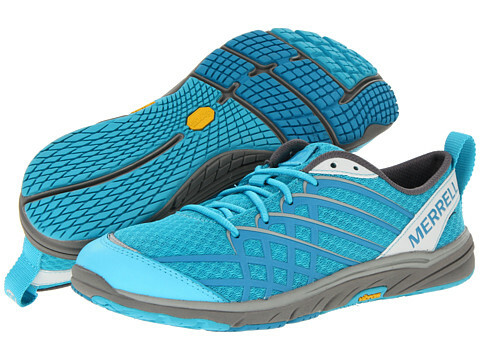 :) The Bare Access Arc 2 is the newest version of Merrell’s minimalist transition shoe. It features a little more aggressive arch contouring and more cushion than their “barefoot” shoes, but still features a 0 mm heel-toe drop, which I would argue puts this shoe closer to a minimalist than a transitional shoe, but that’s beside the point. I got a pair to test a few weeks ago and am really impressed with their performance thus far. The arch support (or “contouring” as Merrell puts it) was a bit uncomfortable at first, but as I continue to wear them, they are starting to mold to my feet and I don’t notice it as much anymore. 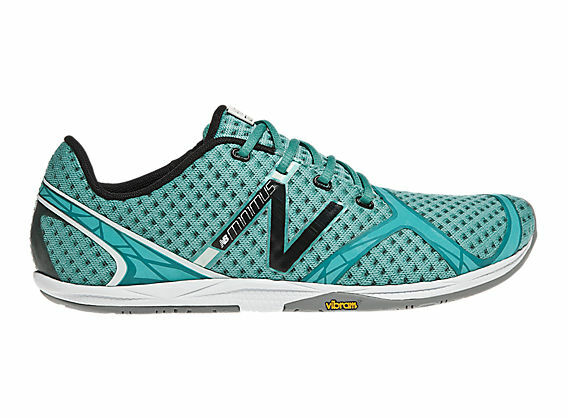 Because I prefer to run in more minimal or barefoot shoes, these have been serving more as casual shoes for me, but I can see them being a great option for someone looking to transition to minimalist running. 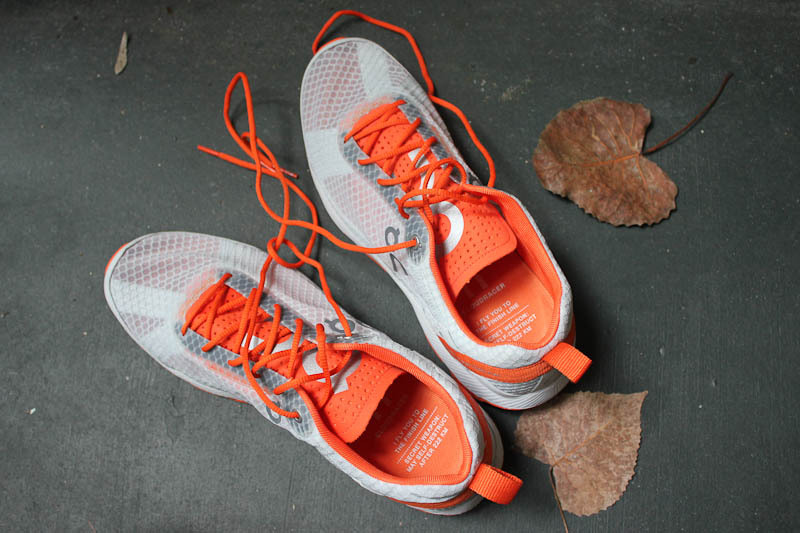 2012 was a great year for new innovations for both running technology and shoes, and it is exciting to see the minimalist shoe trend hitting the big time. We are thrilled to see what 2013 brings, because we believe we will see tons of new faces enter the minimalist shoe market, along with some old ones bringing some new designs. We’ve already caught wind of the upcoming shoe designs from Brooks, Merrell, and Vibram, and we can tell you now that you won’t be disappointed. CES 2013 should bring even more innovations to the surface in the world of fitness gadgets, and we can’t wait to find out what they are! Happy Holidays!